Hybrid durum has a promising yield potential coupled with good quality, but the efficiency of hybrid seed production must be improved. Hybrid breeding is a tremendous success story in many crops, but has not yet made a breakthrough in wheat, mainly due to inefficient hybrid seed production. 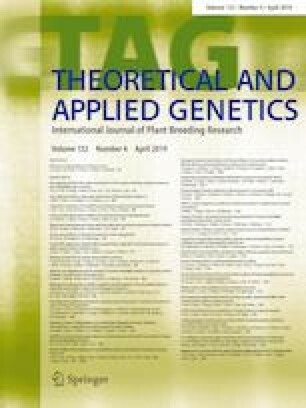 In this study, we investigated the heterosis for grain yield and important quality traits in durum wheat of 33 hybrids built up from 24 parental lines, as well as the variation in anther extrusion and its genetic architecture in a vast collection of Central European elite durum lines. Average mid-parent heterosis for grain yield was 5.8%, and the best hybrids had a more than one ton per hectare higher grain yield than the best line cultivars. Furthermore, hybrids had a higher grain yield than lines at a given level of protein content or sedimentation value, underpinning their potential for a sustainable agriculture. However, seed set in our experimental hybrid seed production was low. We therefore evaluated 315 elite durum lines for visual anther extrusion, which revealed a large genetic variance and a heritability of 0.66. Results from association mapping suggest a mainly quantitative inheritance of visual anther extrusion with few putative QTL being identified, the largest one explaining less than 20% of the genotypic variance. Genome-wide prediction taking the four largest putative QTL into account yielded a mean cross-validated prediction ability of 0.55. Consequently, breeding for improved male floral characteristics is feasible in durum wheat, but should be mainly based on phenotypic selection. Communicated by Heiko C. Becker. The online version of this article ( https://doi.org/10.1007/s00122-018-3248-6) contains supplementary material, which is available to authorized users. W. Akel was financially supported by the Deutsche Forschungsgemeinschaft (DFG LO 1816/4-1). We thank the three anonymous reviewer, whose input considerably improved the manuscript. The authors declare that the experiments comply with the current laws of Germany.